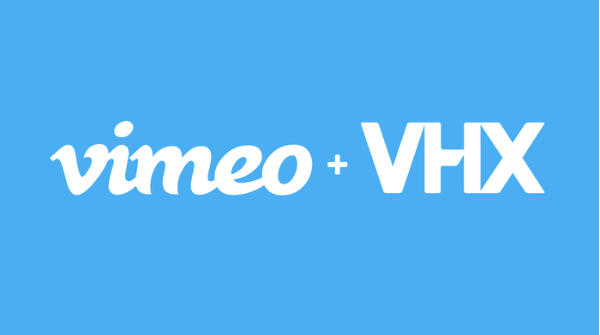 Vimeo Announces Partnership with VHX: VHX’s subscription service gives video creators “even more ways to share [their] videos with the world and grow [their] business with best-in-class technology” and makes it “easier than ever” for video watchers to “watch the stuff [they] most enjoy” on Vimeo. In this blab from Friday, May 6, 2016, Michael Stelzner and guests discuss the top news in social media. Topics include Facebook Instant Articles (2:00) and YouTube’s streaming cable TV service, Unplugged (19:25). Subscribe to future shows here. Facebook Instant Articles and Google AMP Pages WordPress Plugin mentioned by Leslie. Facebook Updates Facebook for Android App: The updated Facebook for Android app features the Facebook Live button in “the most prominent position in the app’s top interface” and the ability to set preferences on the types of video you’d like to see in your Live feed. Facebook Reaction Study: According to a new Facebook Reaction analysis from Quintly, the average Facebook user currently does not use Facebook reactions very frequently. While Facebook reactions have the potential to provide deeper insights into customer sentiment at a glance, a majority of user engagement with posts (97%) only involves likes, comments, and shares. The study also found that video posts on Facebook received 40% more reactions, and therefore offer more user feedback to marketers than image-only posts. 2016 DMA Statistical Fact Book: The Direct Marketing Association’s annual report provides in-depth key marketing stats and insights from leading research sources and industry thought leaders across several areas of marketing, including social media, digital, email, data, mobile, and search. This report examines benchmarks for marketing spends, new platforms, emerging trends, customer engagement, and more. The Future of Social: A new research report published by Social Fresh and developed with Simply Measured and Firebrand Group explores how social media brand marketers and decision-makers are using social marketing budgets and resources. Based on a survey of 551 digital marketers, this report provides insights into social planning and strategy, social media advertising, content marketing trends, and budgets. Long-Form Reading Shows Signs of Life in Our Mobile News World: A new Pew Research Center study finds that long-form news articles are more effective among mobile users. Using audience behavior metrics from analytics provider Parse.ly, this report suggests that the total engaged time with articles 1,000 words or longer averages about twice that of the engaged time with short-form stories (123 seconds compared to 57 seconds). Although 76% of the articles observed for this study were considered short-form, the long-form stories attracted visitors at nearly the same rate and held readers’ attention for much longer. 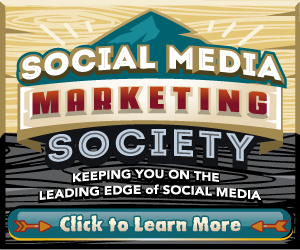 The Social Media Marketing Society is an exclusive membership community designed to keep marketers on the leading edge of social media, brought to you by Social Media Examiner. You’ll find everything you love about Social Media Examiner and more inside the Society: high-quality content you know you can trust; industry-leading presenters sharing the very latest; easy, actionable marketing techniques; and straightforward strategies proven to improve your business. You’ll discover all that, plus the opportunity to make priceless professional connections with marketers and social media experts from around the world. This week only, you’ll save $300 on your annual membership in the Society (ends Friday, May 13). Click here to watch a behind-the-scenes video and discover more about the Society. What do you think of Periscope’s live video archive? 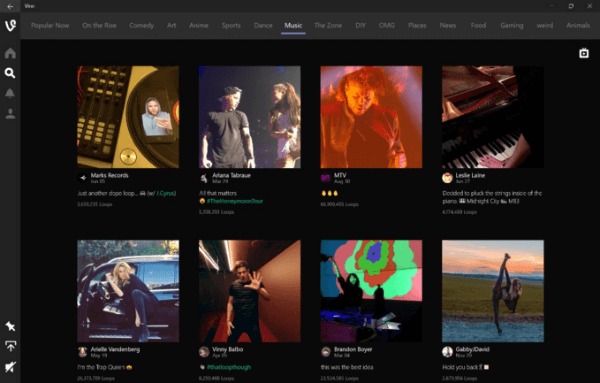 Have you tried the new Connect tab on Twitter? Please share your comments below. 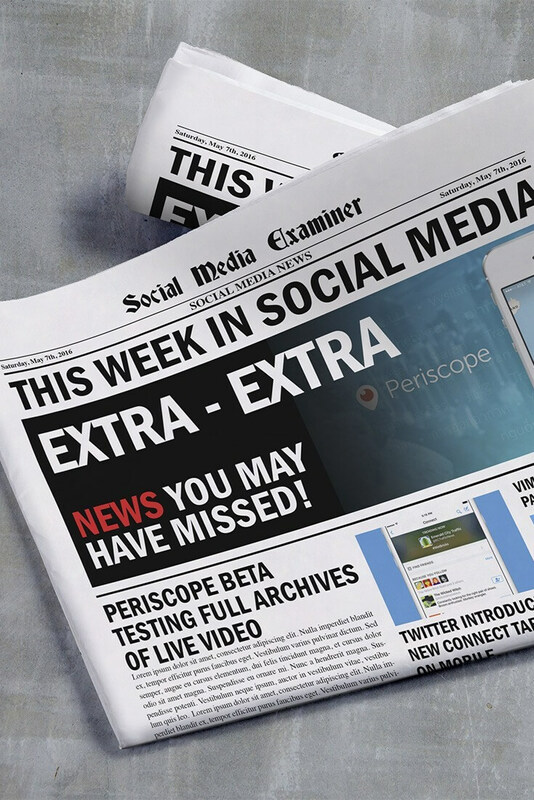 Periscope Saves Live Videos Beyond 24 Hours and other social media news for May 7, 2016.